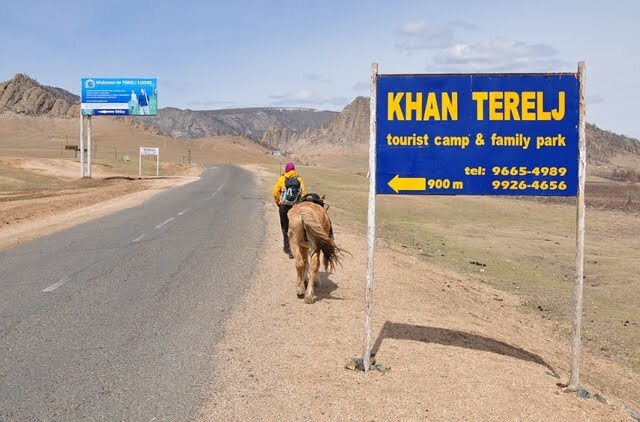 I’m recently back from a journey that took me through Russia, Mongolia, China, Tibet, and Nepal (and I’m aware that China considers Tibet an “autonomous region” of China and not a nation in its own right; that China “liberated” Tibet 60 years ago. 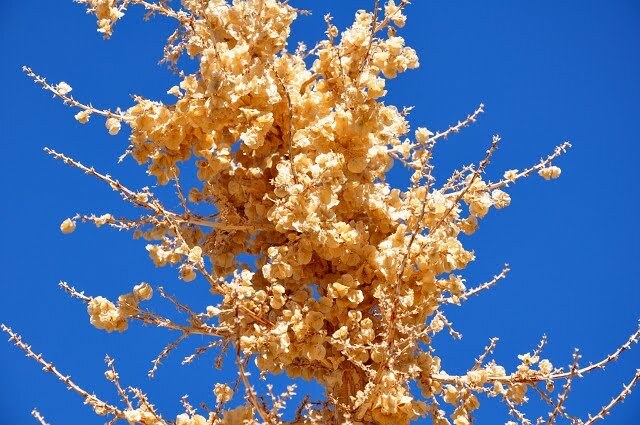 But nobody - absolutely nobody in their right mind and not brainwashed by the chinese dictatorship - can see the ruthless chinese oppression of Tibet as anything else than a blatant occupation! 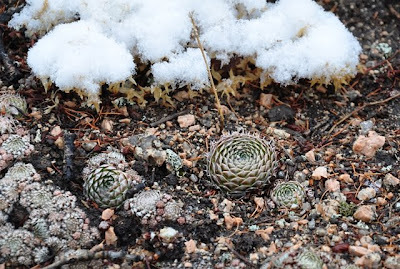 More on that in an upcoming post). 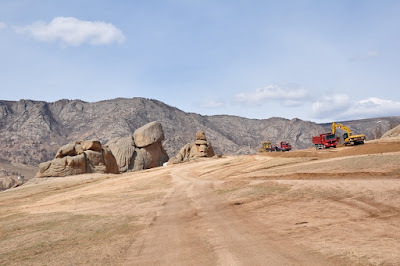 After spending some days in Ulan Bator (Ulaanbaatar), the capital and largest city of Mongolia, we set out for Gorkhi-Terelj National Park. 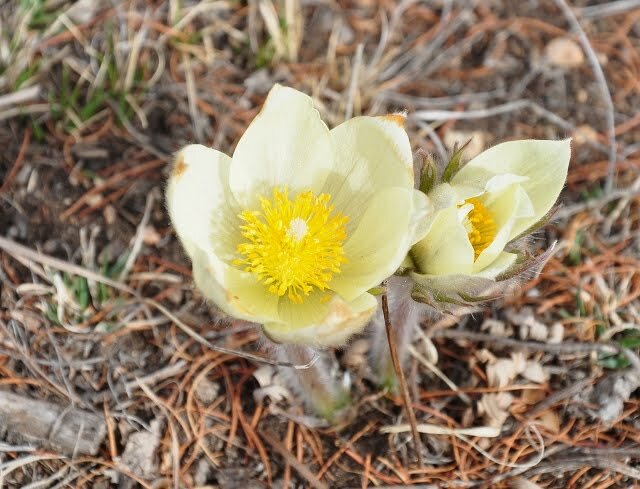 It was still early spring but a few plants were flowering, including the cream, yellow, and light blue/lilac flowered plants pictured above. 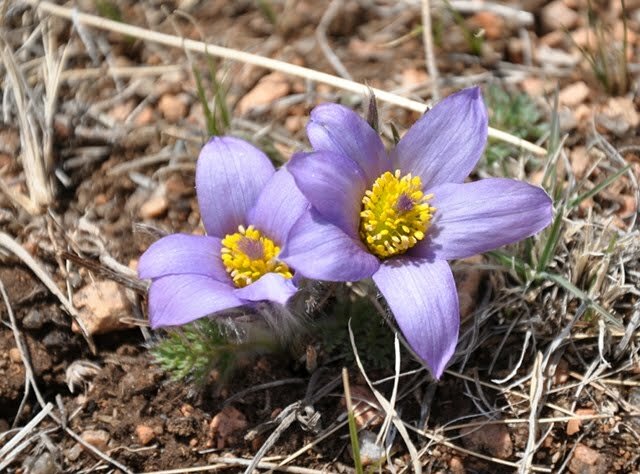 Especially the latter was abundant, in many places almost covering the grassy slopes with its beautiful flowers. My expectations to Gorkhi-Terelj involved imagery of serene, unperturbed nature allowing for days of pure trekking bliss ;-) However the “developed” part of the park we visited is on the verge of being destroyed by golf courts, tourist ger camps, ubiquitous signs and posters, road construction, housing development, and the like. 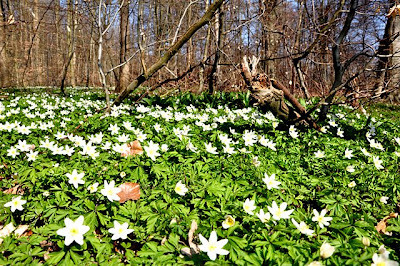 In their eagerness to attract more visitors the very soul of what people are coming to see are being destroyed. 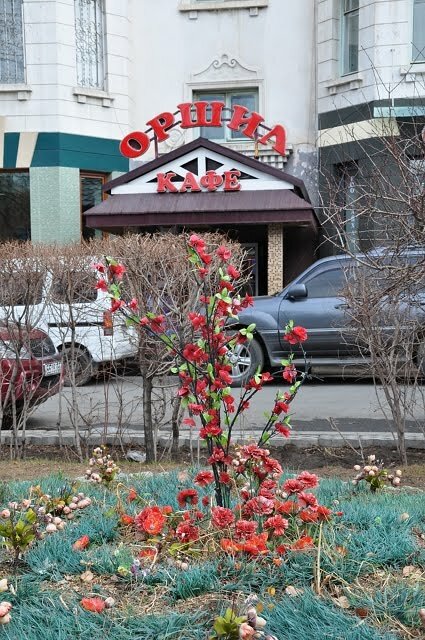 It’s a big shame. 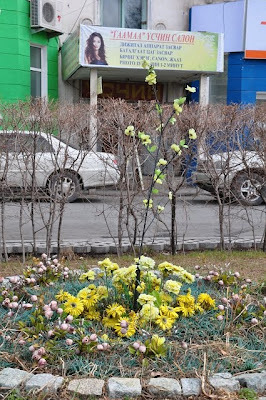 Back in Ulan Bator the only plants we could find were made of plastic. At first I found it a bit strange to have outdoor plastic flower arrangements in a park, but it seemed like a common practice. 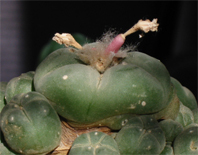 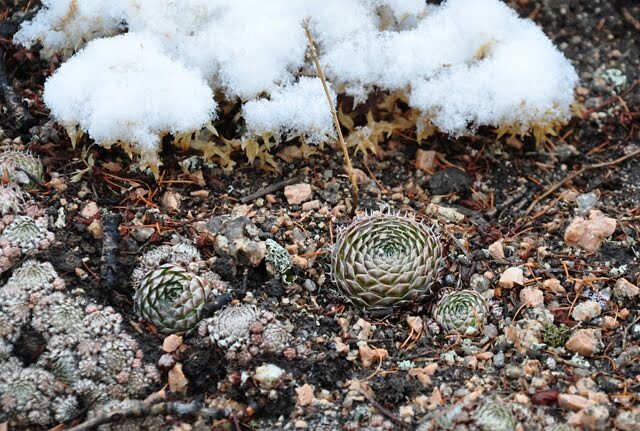 Unfortunately I’m not that well versed in the non-cactus flora of the Mojave and Colorado deserts so I’m afraid I don’t know the names of most of the plants featured in this post. 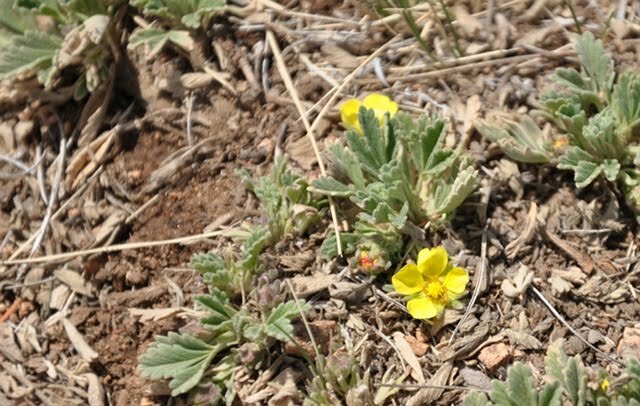 If you have more details I would appreciate a comment. 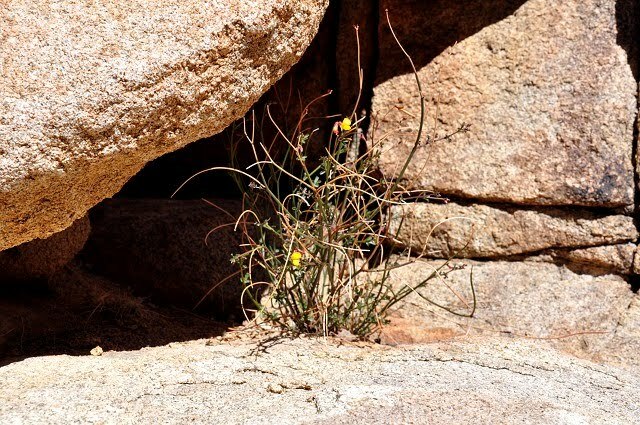 I was especially fascinated by this small plant growing in the lower Colorado portion of the Joshua Tree National Park. 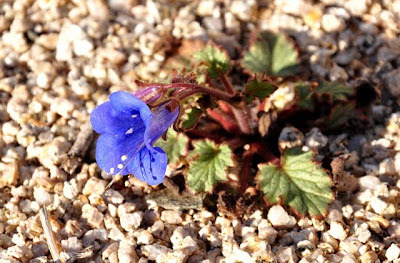 I visited too early in the spring to experience a full blooming desert but this guy was flashing its bright blue flower, standing out among all the earth tones amidst a wash crossing the trail from Cottonwood Spring to Lost Palm Oasis. I studied the plant and its surroundings for a while, intrigued by the habitat it had chosen to grow in - it would for certain be washed away by torrents of water during the next flash flood. 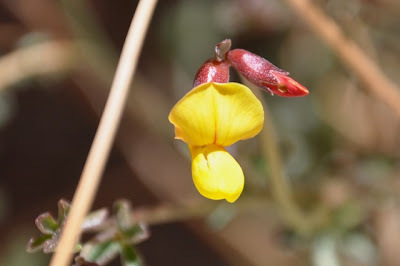 Another interesting plant displayed this beautiful yellow flower that looks like it might belong to the Fabaceae (Leguminosae) family but I’m not certain. The yellow flowered plant had found a much more secure habitat, growing safely among the boulders in the rock-enclosed Hidden Valley (rumored to have been used by cattle rustlers in the past). 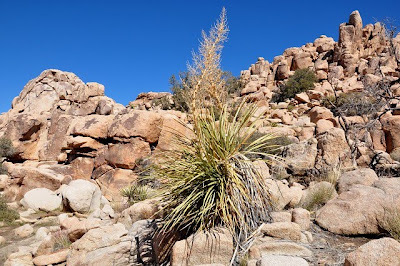 One species I’m pretty sure of is Nolina parrayii (Parry's Nolina or Giant Nolina) that has long thin leaves (and is sometimes called beargrass). 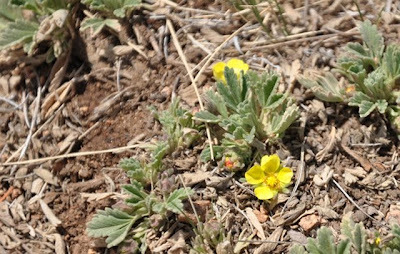 It seems to be especially abundant in the lower Colorado portion of the park but also grows in some of the higher Mojave parts like e.g. 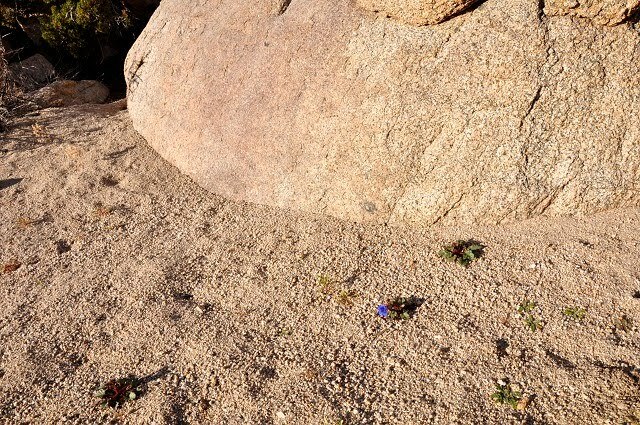 the aforementioned Hidden Valley. 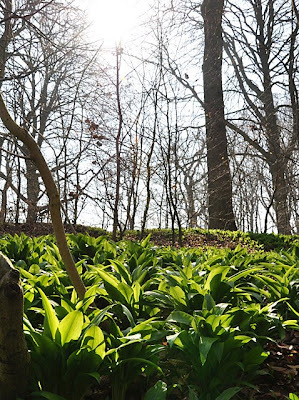 Spring has finally arrived in Denmark and is being heralded by one of its early messengers: ramsons. 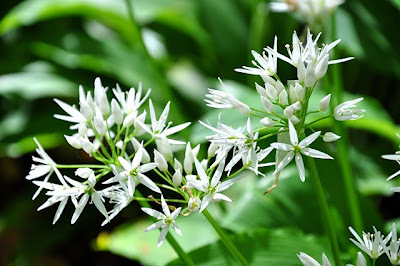 Ramson (Allium ursinum) (also known as buckrams, wild garlic, broad-leaved garlic, wood garlic, and bear's garlic) is a wild relative of chives and grows in deciduous woodlands – fortunately such a forest is located only a couple of kilometers from where I live. 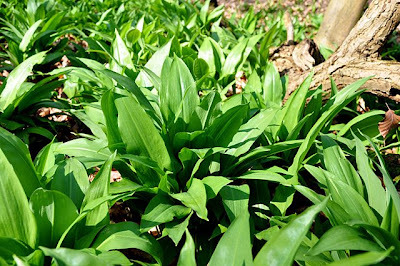 When not flowering, the extremely poisonous Lily of the Valley (Convallaria majalis) might be mistaken for ramsons – fortunately you can tell ramson by its smell ;-) All parts of ramson are edible and make for a great supplement to your spring menu. 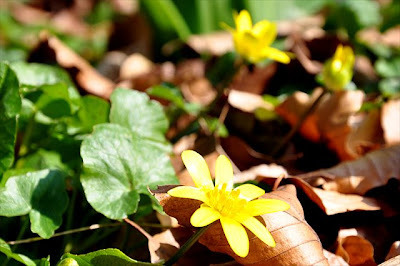 Another messenger of spring in many Danish deciduous forests is the lesser celandine (Ranunculus ficaria (syn. 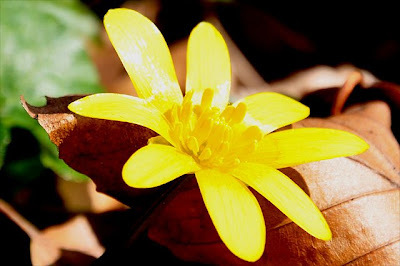 Ficaria verna)) (also known as fig buttercup, and fig wort). 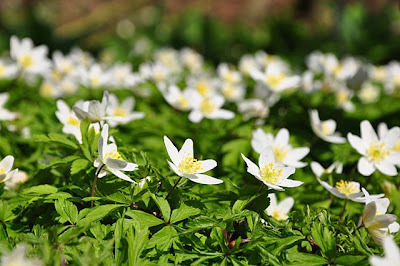 Their extremely shiny, looking almost plastic-like, yellow flowers and lustrous dark-green heart-shaped leaves make these plants stand out on the spring forest floor. 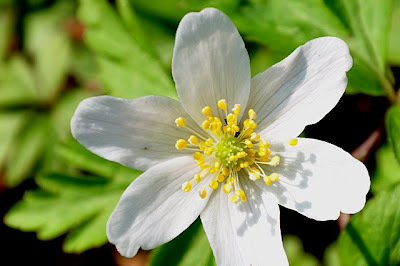 Last but not least, I must mention the white anemone (Anemone nemorosa) (also known as wood anemone, windflower, thimble weed, and smell fox) – in select locations the anemones virtually blanket the forest floor. 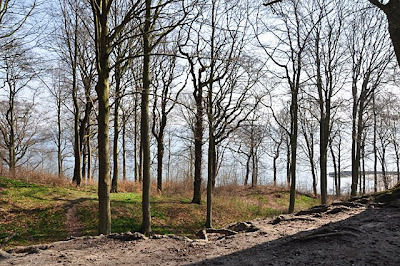 In a few weeks the canopy will be covered in foliage again – until then the dwellers of the forest floor rule. 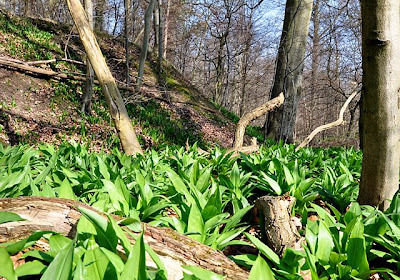 The deciduous forest is now almost fully leafed-out and it is time for the ramsons to flower. 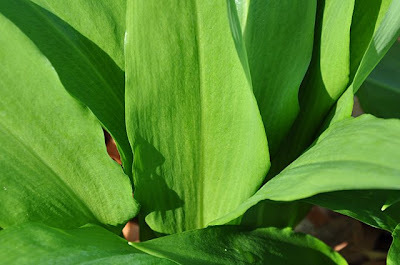 The older leaves tend to have a more pungent smell than the small, younger ones and if you trample through a stand of flowering ramsons the garlicky odor can be really overwhelming. 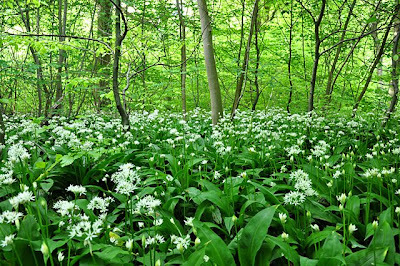 As all other parts of ramsons the flowers may also be eaten and are said to make an interesting garnish for salads – I haven't tried that though.